The CTU operates on principles of integrity, transparency and accountability and is committed to the standards of excellence in the execution of its work. The CTU recognises that realising the goals of functional Caribbean integration enabled by ICT requires the commitment and collaboration of many diverse stakeholders. 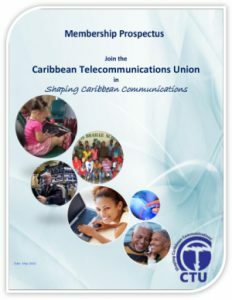 We invite you to join us in Shaping Caribbean Communications as a member of the CTU. Caribbean FutureScape is a confederation of 5 Caribbean countries whose governments have collaborated and cooperated to use information and communication technologies (ICT) to accelerate the social and economic development of their countries. What if I told you that there is a solution for long lines, being stuck in traffic and accessing all your information, anywhere, anytime? Don’t..
HUAWEI, DIAMOND SPONSOR OF CTU’S 30TH ANNIVERSARY CELEBRATIONS The Caribbean Telecommunications Union (CTU) is pleased to announce that one..
Ministry of Public Administration and Caribbean Telecommunications Union (CTU) to highlight digital transformation with FutureScape Digital transformation.. I know that you have been hearing a lot about of Caribbean FutureScape lately, but you’re probably still wondering, What exactly is Caribbean.. CALLING THE CARIBBEAN DIASPORA. YOU ARE INVITED TO BE A PART OF CARIBBEAN FUTURESCAPE.